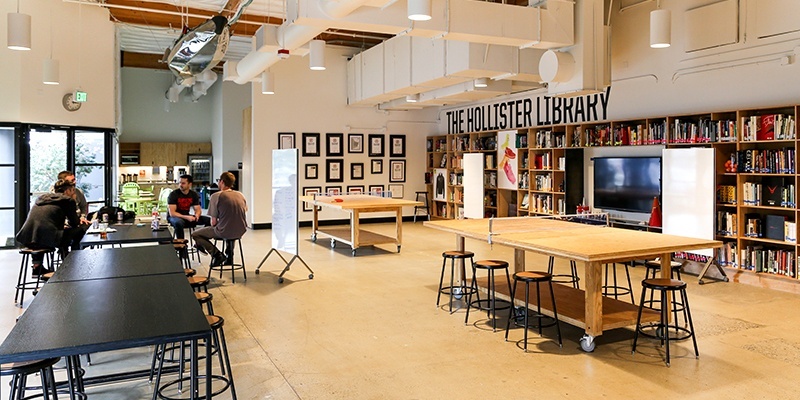 The Blue Ribbon Design Studio in Beaverton, Oregon is the product of a collaboration between Nike Workplace Brand Design group and the multidisciplinary design studio and fabrication workshop, Fieldwork. The project was completed in 2015. Mobile and freestanding Etch was an excellent fit for the creative, re-configurable vision and function of the Blue Ribbon Design Studio. Due to the extensive wall-based storage and built-in bookshelves that contain the group’s design resources and materials, wall-based collaborative whiteboards or pin boards were simply not feasible. Etch’s magnetic, whiteboard surface delivers high-value -- especially in flexible and creative spaces. It can accommodate paper presentation materials with magnets or accessories such as the magnetic display shelf or paper pad hooks, and it's easy-to-clean whiteboard surface easily captures ideas as fast as they arise. 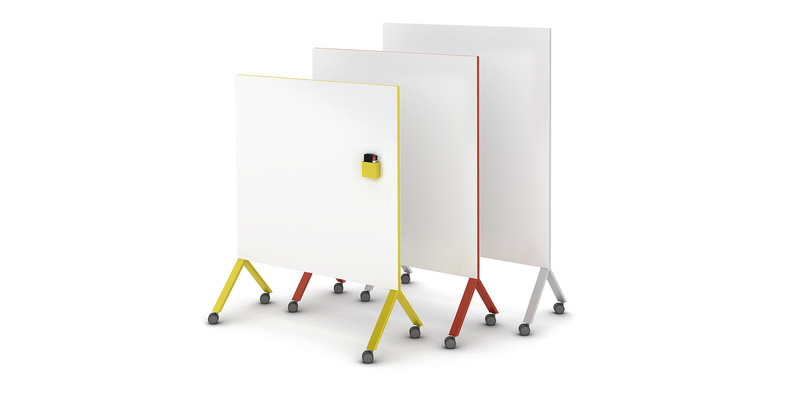 This innovative rolling whiteboard has a durable construction which enables it to move spontaneously throughout a space to facilitate impromptu collaborative sessions. It's handy magnetic storage bin ensures that pens and erasers are never lost. To learn more about how Etch can serve your collaborative space or office, contact the Watson sales representative in your area or visit our Etch's webpage.